It's 1947 Hollywood, and Eddie Valiant (Bob Hoskins), a down-on-his-luck detective, is hired to find proof that Marvin Acme, gag factory mogul and owner of Toontown, is playing hanky-panky with femme fatale Jessica Rabbit, wife of Maroon Cartoon superstar Roger Rabbit. When Acme is found murdered, all fingers point to Roger, and the sinister, power-hungry Judge Doom (Christopher Lloyd) is on a mission to bring Roger to justice. Roger begs the Toon-hating Valiant to find the real evildoer and the plot thickens as Eddie uncovers scandal after scandal and realizes the very existence of Toontown is at stake! WHO FRAMED ROGER RABBIT is deliciously outrageous fun the whole family will enjoy..
Download Who Framed Roger Rabbit in Digital HD from the iTunes store. Who Framed Roger Rabbit images are © Touchstone Pictures. All Rights Reserved. Disney is keenly aware of the appeal and reach of its catalog, down to the best and worst films under the Mouse House banner. Titles like Cinderella and Peter Pan arrive separately and to great fanfare, while other titles shuffle onto shelves en masse, sans the red-carpet treatment afforded their Platinum and Diamond Edition brethren. Last year, it was The Aristocats, The Rescuers, The Rescuers Down Under, Pocahontas, Pocahontas II: Journey to a New World, The Tigger Movie and Lady and the Tramp II: Scamp's Adventure, all of which released in a single week in August. This year the releases include Robert Zemeckis's Who Framed Roger Rabbit and a trio of 2-Movie Collection Blu-rays: The Hunchback of Notre Dame and The Hunchback of Notre Dame II, Mulan and Mulan II, and Brother Bear and Brother Bear 2. And, once again, the deluge is another hit or miss affair, with a classic live-action/animation hybrid, three solid (or at least decent) animated features and a near-unbearable batch of direct-to-video misfires. 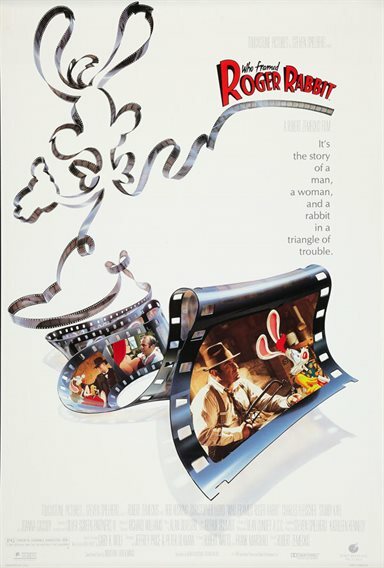 Who Framed Roger Rabbit, director Robert Zemeckis and executive producers Steven Spielberg and Kathleen Kennedy's nutty, riotous, still-slick sendup of 1940s Hollywood film noir. When it was released in 1988, audiences hadn't quite seen anything like it. Innovative and wildly funny, it boasted all-ages appeal, a smart script and a rare, never since replicated gathering of dozens of Golden Age animation icons from rival studios. Mickey Mouse and Bugs Bunny join each other for a sky-dive; Donald and Daffy Duck face off in a spittle-slinging round of dueling pianos; Goofy, Betty Boop and Yosemite Sam, by no small miracle, share a scene. Even some twenty-five years later, the majority of audiences still haven't quite seen anything like it. (Although, for gamers, Wreck-It Ralph certainly comes close.) Yes, the seamlessness between the animation and live-action footage isn't nearly as seamless as it once seemed, and yes, the word "innovative" doesn't apply so well anymore. But for sheer zaniness, clever nods, big laughs and even bigger heart, Who Framed Roger Rabbit is a tried and true blast from Disney's past that just might surprise you. Hollywood, 1947. King of cartoons R. K. Maroon (Alan Tilvern), of Maroon Cartoon Studios, hires a private detective named Eddie Valiant (Bob Hoskins) to tail Jessica Rabbit (voiced by Kathleen Turner), the vivacious wife of bankable animated star Roger Rabbit (voiced by Charles Fleischer), and find out if she's having an affair. Problem is, Eddie hates toons. Has ever since a still-at-large toon killed his brother. He eventually agrees to follow Jessica, though, only to discover she's not only having an affair, but having an affair with Marvin Acme (Stubby Kaye), owner of the world-famous Acme Corporation. But when Acme turns up dead, Roger becomes the prime suspect. On the run from the notorious Judge Doom (Christopher Lloyd), a merciless lawman who condemns and executes rogue toons on sight, Roger begs Eddie to help prove his innocence, a request Valiant reluctantly obliges. Now the small-time P.I. has to prevent Doom from uncovering Roger's whereabouts, locate Acme's missing will and solve a murder, a tough case to crack that leads him to the last place he'd ever willingly go: Toontown. Toontown is an unruly culmination of every comically violent, physics-defying stunt the cartoons of our childhoods delivered with unapologetic abandon. Eddie has good reason to despise it and its residents, and many a viewer will too. Roger and his animated cohorts aren't a lovable bunch -- most of them aren't even that likable -- but that's the point. On-screen, toon madness is hilarious. Off-screen, it's id run rampant, and it takes a lot for Eddie and, by extension, his real-world ilk to warm up to such loony lunacy. Eddie comes around, of course. You may not. If you get the joke, though, and more importantly enjoy the joke, the film's sharp satire, endless one-liners and countless references and cameos will be a real treat. Roger is annoying but that's precisely the point. The toons are insufferable but, again, that's the point. The magic lies in the manner in which the toons are deployed, or rather hurled, into Eddie's path. Who Framed Roger Rabbit is Zemeckis' love of classic cartoons and the full fury of his imagination unleashed, and the lengths to which he and writers Jeffrey Price and Peter S. Seaman go to create a viable world where toons and humans co-exist is refreshing. For all its unwieldiness, there's an almost airtight logic to the wholly illogical realm of Toontown and nine-tenths of the fun is in watching Zemeckis and his cohorts play in the sprawling sandbox built by Warner Bros., Disney, Universal Pictures, MGM, Paramount Pictures and the likes of Mel Blanc, Friz Freleng, Tex Avery, Max Fleischer, Walt Disney and the Nine Old Men. But Zemeckis' passions extend beyond the bounds of Toontown. Hard-boiled film noir, tough-talking detective stories, the history of Tinseltown, the early studio system... nothing, and yet everything, is sacred. Moreover, studying the roots of Zemeckis' career-long experiment in blurring the line between animation and reality adds another layer to the experience -- especially all these years later -- and another reason to fall in love with everything the director managed to pull off at the very beginning. All told, Who Framed Roger Rabbit remains a divisive classic; one that will strike some as brilliant, others as mildly amusing, and still others as tiring or downright unbearable. Thankfully, Hoskins, Lloyd, Turner and even Fleischer at his most unhinged help make Valiant's Inferno a terrificly performed, sharply penned, laugh-out-loud love letter to Old Hollywood and the Golden Age of Animation. It'd be easy to dismiss Roger Rabbit's remaster and subsequent 1080p video transfer with a shrug. Softness, color inconsistencies, saturation mishaps, transparent animation elements (watch closely any time Roger or Jessica walk in front of Eddie's windows and note the office blinds are visible through the characters), uneven grain, live-action/animation seams and other undesirables abound whenever animated characters are on screen. That said, the rest of Disney's presentation is more than commendable. Impressive even. Colors are generally pleasing, primaries have nice punch (particularly in Toontown), skintones are satisfying on the whole, grain is intact, contrast is effective and filmic, and detail is often quite rewarding. Disney's DTS-HD Master Audio 5.1 surround track is a proficient mix with plenty to offer Roger's biggest fans. Dialogue is clean and clear, without any troubling prioritization mishaps or lost lines. Muffled voices crop up during the most chaotic sequences (Eddie's battle with the weasels for one), but that's part and parcel to the film's late-80s sound design. The Roger Rabbit Shorts: Three Maroon Cartoons from Roger's past -- "Tummy Trouble," "Roller Coaster Rabbit" and "Trail Mix-Up" -- digitally restored and presented in high definition with Dolby Digital 5.1 surround. Who Made Roger Rabbit: Charles Fleischer, the voice of Roger Rabbit, hosts this brief behind-the-scenes featurette, which, like most every other special feature on the disc, has been ported over from the previously released DVD edition of the film. Special guest appearance by the Rabbit himself. Behind the Ears: A far more extensive, far more worthwhile documentary, complete with revealing on-set footage and dailies, countless interviews with key members of the cast and crew, and a thoroughly candid overview of the production. Toontown Confidential: Though difficult to find, the Blu-ray disc's text-based "Toontown Confidential" fact-n-trivia track is located in the subtitles menu. Deleted Scene: The deleted "Pig Head Sequence," with an introduction by the filmmakers. Before and After: Compare raw production footage with final live-action/animation shots. Toon Stand-Ins: Rubber models and voice actors stand in for the animated characters. On Set! : Zemeckis and company go about their business as cameras capture their process. Fast, funny and focused, "Who Framed Roger Rabbit" a clever homage, a sharp satire and a hilarious ode to the Golden Age of Animation. If you've never had the pleasure, there's no time like the present to sit down with Roger and solve a good mystery. If you're familiar with the film, there's... no time like the present. 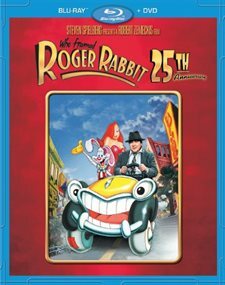 Adding Who Framed Roger Rabbit to your collection will be a no-brainer.